Looking for something affordable? Move-in ready? Updated? Private view? Well maintained? Well look no further! 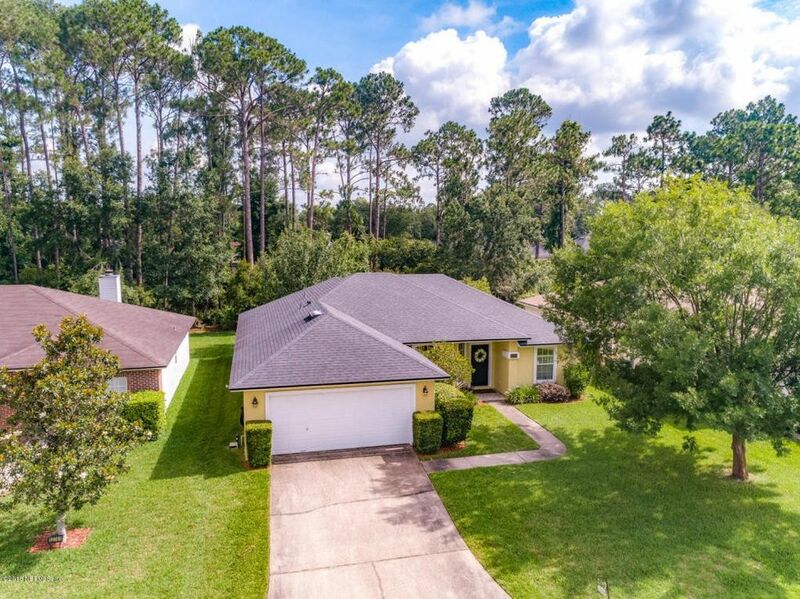 One owner home located in sought after community of Intracoastal West area of Jax! Walk thru the front door and step into this open floorplan! Gathering room is open to breakfast nook & kitchen...speaking of kitchen - lots of nice granite counters, walk-in pantry, stainless steel appliances, work station, indoor laundry area & bar top w/room for stools. Master bedroom has en suite bathroom w/remodeled walk-in shower w nice tile & glass enclosure along w/his & hers sinks. There is a covered porch with room for furniture & grill while overlooking nice grassy yard & wooded view!Roof-2014, HVAC-2017, Sprinkler Sys w/sep meter, sec sys, 2-10 $540 HOW. Slrs have never lived in the house. Directions: From JTB, head north on Hodges Blvd, t/l at light on Chets Creek Blvd. (Johns Creek Subd), t/r at stop sign onto Chets Creek Dr. Follow as it becomes north, almost to end to house on right.